Chainsaws are very useful when felling trees, bucking, pruning, and harvesting firewood. When used safely by professionals, they are true labor-savers. They come in different sizes and could either be gas-powered or electrically powered. Gas-powered chainsaws are generally used for hefty jobs, while electric powered chainsaws (which could be cordless or have a cord) have less power and are, therefore, used for lighter jobs. 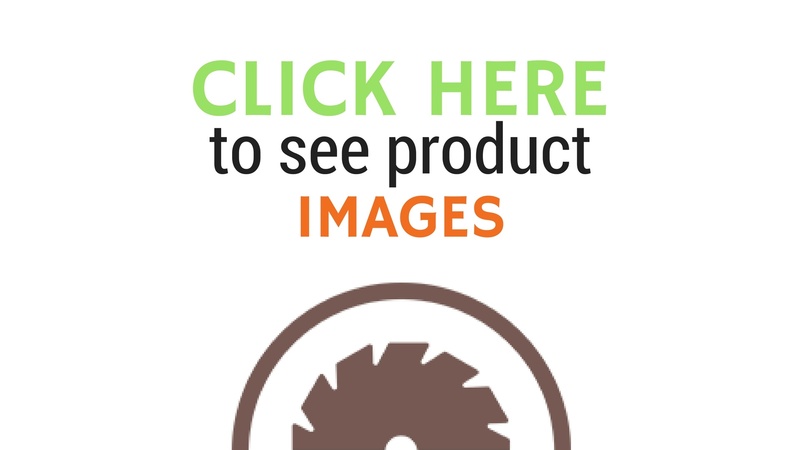 What Are the Advantages of a Homelite Chainsaw? As a homeowner, you have probably had to deal with cutting down a tree, trimming it or clearing fallen trees. An ax would just take so much time and energy and would definitely not do half the job a chainsaw would. Homelite chainsaws are powerful, convenient and quick whether offered as a corded or a cordless chainsaw. The fact that they can be bought from licensed dealers makes it convenient in terms of maintenance/ repair. What Are the Differences Between the Different Models (Gas and Electric)? 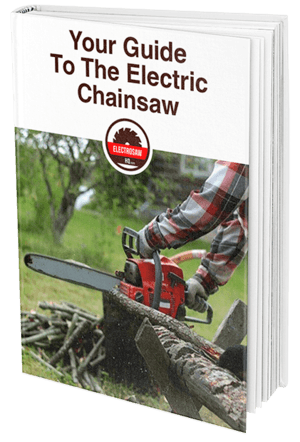 When trying to decide whether to take the gas-powered route or perhaps the electric path, it is important to carefully research on the qualities of each chainsaw. Know your options and determine the chainsaw use before you take the plunge. True to their name, electric chainsaws run on electricity and may be corded or cordless while gas chainsaws run on gasoline. Gas-powered chainsaws are mostly used for big jobs such as sawing through big logs and felling trees. Although they are powerful, they are not suitable in tight residential areas because of the noise factor. Electric chainsaws are much better placed to clear unwanted growth in residential areas. They are far quieter than gas-powered chainsaws. It is not advisable to use them when cutting firewood because they have less power than the gas-powered saws and could take forever. When you decide to buy a chainsaw, the main features that you should look out for are power, safety, performance, support and maintenance, and included accessories. The noise factor is also a point to note. If the chainsaw has a noise level that's above 80 decibels, then it's advisable to have ear protection. 1. Safety: These tools are extremely powerful, therefore, dangerous. Chainsaw injuries skyrocket each year, which is why you have to handle this machine with great care. Always try to have ear protection, gloves, goggles, and chaps. When working on trees, always have a helmet and wear fitting clothes that cover your entire body. You should keep children away from the site as you work and never consider operating a chainsaw under the influence of alcohol. Make sure your chainsaw is properly maintained to keep the chain well lubricated and sharp to avoid kickback. Invest in an online safety course that teaches you how to operate a chainsaw, store it and maintain it. The weight and grip of a saw affect its performance. Look out for saws with anti-vibration features. Otherwise, your hands will tire easily and change how you hold the chainsaw, which compromises the safety of the work. 2. Parts and maintenance: Proper care of your chainsaw will ensure that the life span is lengthened. Regardless of whether a chainsaw is gas-powered or electric, it’s essential to clean and have routine replacements. There are several routine procedures that you should undertake before and after use. What's the Best Way to Use a Chainsaw? Before you commence your chainsaw use, always check for cracks, leaks or obvious damage. Test the trigger lockout, throttle and stop switch as well. Pay attention to the fuel levels, chain, chain brake, bar and oil levels before starting any job. After a period of use, it is important to have the chainsaw sharpened to enhance its efficiency. Before making the cut, make sure the front handle is held with your left hand and the rear handle with your right. Stand with your legs apart for stability then disengage the chain brake by pulling it. Squeeze the throttle. Saws usually work best when their engines are at full throttle. When making cuts, keep away from the bar tip. If you cut with the upper portion of the tip, it could cause kickback, which is dangerous and could engage the chain brake. If it engages, unlock by simply pulling back. It’s recommended to cut at waist level. Never attempt cutting above shoulder level. Don’t cut too close to the ground. The blade can dig in and possibly kick back. Always try to cut from the saw’s side position. You can also use the bottom of the bar to cut downwards or using the top of the bar to cut upwards. Once you’ve finished the job, pay attention to the cylinder fins and the air filter as you clean the entire chainsaw. There are seasons such as winter when you won't really use your chainsaw and have to store it away for a long time. Both electric saws and gas-powered saws are stored in the same way. Before you store your chainsaw, make sure you drain out all the fuel and oil to prevent the buildup of residue and potential fire hazards. Run gas engines until the carburetor is dry. This will prevent diaphragms from sticking together. Wipe down the entire machine, both electric and gas, and remove the guide bar and chain before you store it. Homeowners need a reliable and powerful tool that they can use occasionally or regularly. The Homelite 16 In. 42cc chainsaw is a variant that fits perfectly in a homeowner’s garage. It is a non-professional gasoline chainsaw that has a weight of 4.4kg, giving it a good power to weight ratio. Its fuel tank has a volume of 0.33 liters. It has a 2-cycle gas engine that has 1.6 kW worth of power with an engine capacity of 38cc. The bar length is 16 inch while the chain pitch is 3/8 inches, making it very compact. It’s no secret that gas-powered chainsaws are deemed the most dangerous compared to the electric counterparts. However, the manufacturers have done their best to ensure that the safety of this chainsaw surpasses industry standards for its category. Every chainsaw from Homelite has an inertia brake system. This particular variant has a special T-Tip. The T-Tip is a small steel material that protects users from suffering heavy kickbacks when they are working. It has an adequate vibration, dirt and noise level, so the neighbors won't be particularly unhappy with your chainsaw choice. It's compact regarding length and weight. The special T-Tip increases its safety. This version of the Homelite electric chainsaw 16 inch is an efficient machine. It can be used both personally in the home area or semi-professionally. Cutting jobs are done effectively thanks to its embedded features. It can cut logs that have a maximum radius of 16 inches. Its 12Amp motor adds on to its performance factor. Its chains are easily adjustable with the tool-less chain tensioner. This chainsaw has a handgrip that is attached to the handle, making it easy to grip, therefore, lessening the effort required to do the job and reduces fatigue. It comes with a case that allows for easy storage. Upon purchase of this electric chainsaw, you get a two-year limited warranty, guaranteed. It's simple and offered with a number of features including tool-less chain tensioner, automatic chain tensioner, a wrap-around handle that makes the cutting process convenient. It also features an oil level window. Its 9.0Amp motor provides increased durability and performance while its safe T-Tip helps to prevent kickback. It has an automatic oiler, making it easy to use by keeping the chain lubricated. Comfort is key for the user, and the wrap-around handle has a soft hand grip that does well to ensure it. The machine has a cord retention hook that helps to prevent power disconnection. It comes fully assembled and has a two-year warranty. The Homelite UT 10680A is a powerful chainsaw that has a 42cc engine packed in a little body, which makes it great for cutting down small hardwood branches. It’s loud when cutting and revving so you should definitely have ear protection when using it. It’s fast and efficient making it one of the best gas-powered chainsaws in its price category. Safety is of utmost importance for Homeline products, so the manufacturers of the UT10680A ensure to have anti-kickback features, which stop the chain before it reaches the user. Ease of use is a benefit of this machine. You can adjust the chain quickly using the side access chain tensioner. The automatic oiler helps to keep the chain constantly lubricated. When you buy it, you get a few useful accessories in the package such as a scrench, bar scabbard, and an owner's manual. You can easily get extra parts such as spare chains, carrying cases, chain oils and sharpening files from home improvement stores in your area. Homelite ensures that you have many information channels. You not only get an owner’s manual but also get access to a PDF on the company’s website. Before every use, you are recommended to perform several maintenance tasks. This could prove to be very high maintenance. You should check gaskets, cap and fuel lines each time you use it. The spark plug and fuel filter need to be examined after 25 hours of use. There is a 2-year warranty for part replacement if anything goes wrong with the chainsaw. The Homelite 14-inch chainsaw review highlights the UT10640. This machine is great for seasonal pruning and for sorting out storm-damaged branches. It has an automatic oiler that helps to keep the chain lubricated. It caters to ease of use with a tool-less chain tensioner, which provides quick and easy adjustments. It also has a 14-inch bar that makes cutting jobs so much easier. It’s a 2-cycle gas chainsaw that comes fully assembled with 42cc power. It has 3-point vibration isolation that helps to reduce fatigue. It has an inertia activated chain brake to help prevent kickback. You can also easily adjust it with side access chain tensioning. The fuel tanks and oil tanks are clear to make it easy to view the liquid levels. The Homelite UT10680A comes out on top in the gas-powered category. Not only is the UT10680A exceptionally safe for a gas-powered chainsaw, but it also has great performance and cuts better and faster than competitor chainsaws. The ZR43120 is the best electric chainsaw from Homelite. Its tool-less mechanism and auto-oiler features make it easy to use and even easier to maintain. The best chainsaw for homeowners would have to be Homelite 16 In. 42 cc, which is surprising especially because it’s a gas-powered chainsaw. Most gas-powered chainsaws are too noisy for residential use and not as safe to be in the suburbs. This Homelite version has ensured to double tick in safety and noise levels not forgetting its exceptional performance. 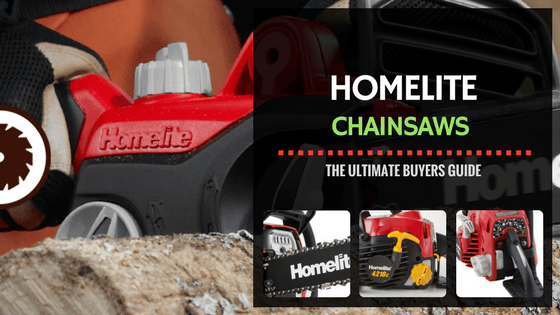 The Homelite ZR43120 is on the list again as the best Homelite chainsaw for commercial use because it cuts wood effectively and continually without encountering problems.Choosing a chainsaw could be overwhelming given the number of chainsaws out in the market. Put safety first then performance when deliberating which one to buy. Cost is another important factor because you may want to purchase a chainsaw with particular qualities but they don’t seem to agree with your budget.